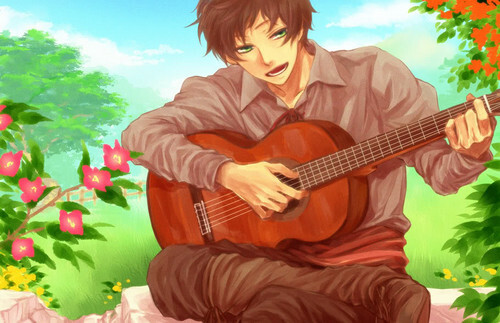 Spain. . HD Wallpaper and background images in the 헤타리아 Spain club tagged: hetalia axis powers antonio fernandez cerriedo hetalia spain spanish. This 헤타리아 Spain photo contains 기타리스트, 기타 플레이어, 기타 연주자, and 기타. There might also be 음악회, 콘서트, and 어쿠스틱 기타.